We take your booking personally and would welcome any questions you may have. To check availability, costs, or if you have any questions about our cottages, farm or local area please don’t hesitate to get in touch. Self Catering from £400.00 per week depending on size of cottage and time of year. The holiday week runs from Saturday 2 p.m. to the following Saturday 10 a.m. We welcome visitors for short breaks of a minimum 2 night stay either weekend or midweek out of the peak holiday season. Keys will be supplied on arrival. Central heating, electricity, bed linen and towels are all included in the price. The Coach House has its own laundry facilities. For other cottages a shared laundry room (metered) with washing machine and tumble drier is available. To check rates and / or availability refer to our online form. We will contact you on receipt of your enquiry about availability. A £100 non-returnable deposit is required to confirm a booking. In most cases the full balance is due 4 weeks prior to the visit. Sat Nav does not always bring you directly to Tytanglwyst Farm. Exit the M4 at Junction 37, bear left and follow the A4229 to Porthcawl. At the first roundabout take the third exit signposted to North Cornelly. The farm entrance is on the right hand side just before the low bridge. Drive carefully over the cattle grid and follow the farm lane leading to the farmhouse and cottages. A high chair, travel cot and stair gate are available on request. Patio furniture and a barbeque are also supplied. The cottages are strictly no-smoking. 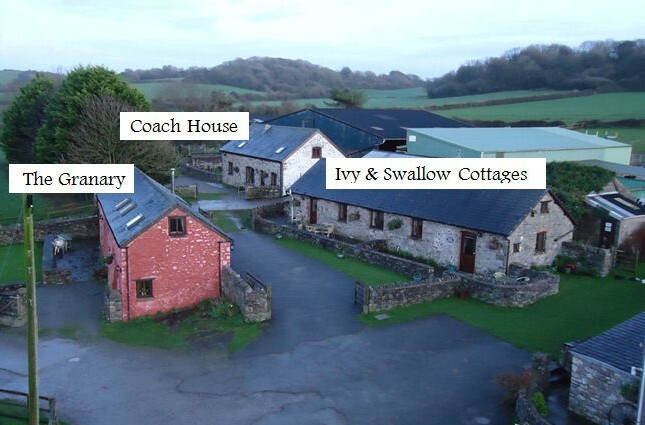 Tytanglwyst Cottages are situated just a few minutes from junction 37 of the M4. Brown tourist signs “Tytanglwyst” may be followed from the dual carriageway and a large sign is situated at the entrance gate to the farm. A cattle grid leads to the private concrete farm lane, which takes you from the main road to the farmhouse and cottages. There is a slight gradient as the farm lane approaches the cottages. The farm also has a rear entrance accessed from the A48. Emergency vehicles may therefore access the Farm and cottages easily. Tytanglwyst Cottages are converted from very old stone farm buildings and we have tried to maintain as much of the original character and features as possible. 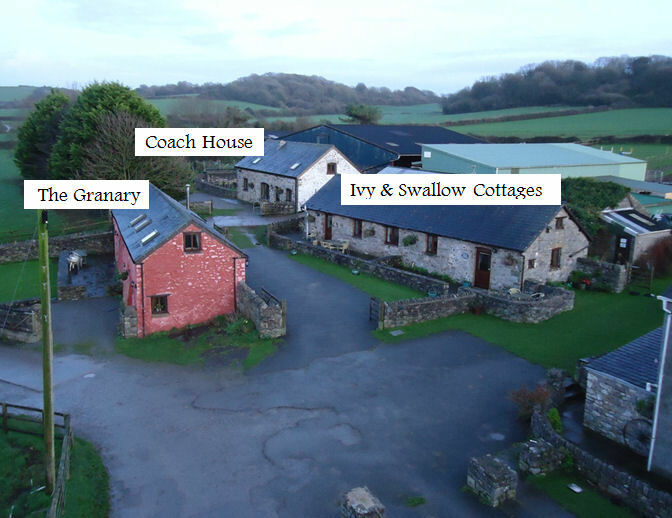 Click on the top menu to read full details for each cottage.